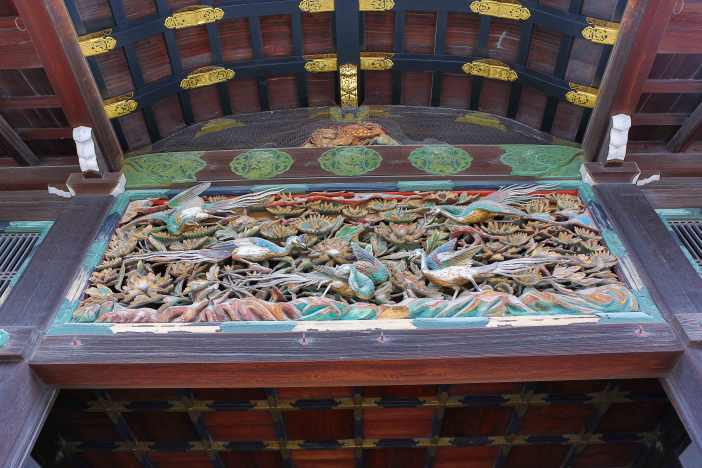 Our first stop on our big “day tour” was Nijo Castle, samurai and shogun home. 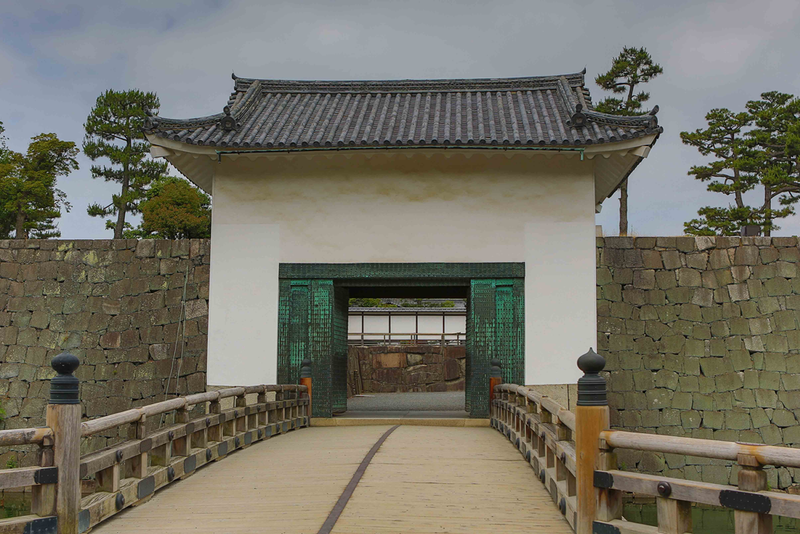 In 1601, Tokugawa Ieyasu, the founder of the Tokugawa Shogunate, ordered all the feudal lords in Western Japan to contribute to the construction of Nijō Castle, which was completed during the reign of Tokugawa Iemitsu in 1626. Parts of Fushimi Castle, such as the main tower and the karamon, were moved here in 1625-26. 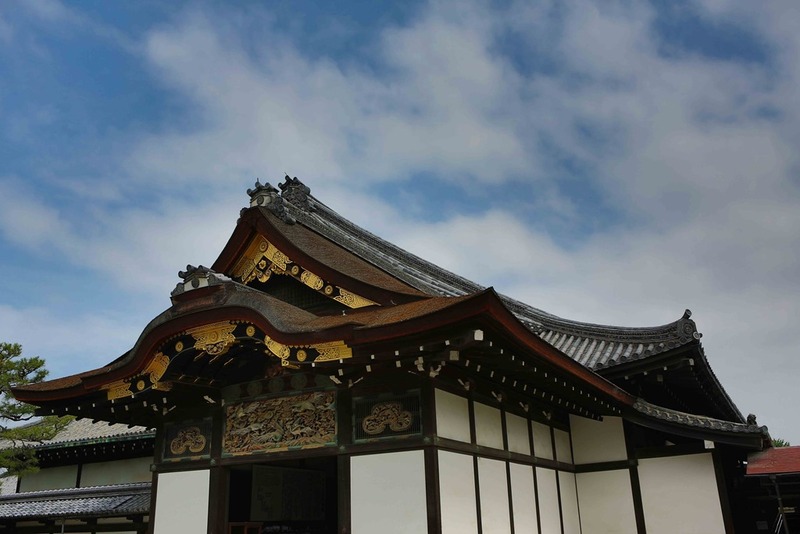 It was built as the Kyoto residence of the Tokugawa Shoguns. 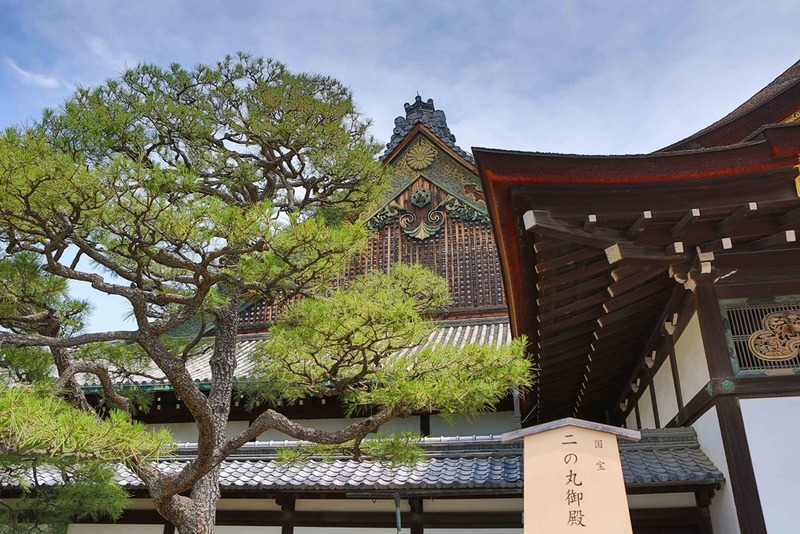 The Tokugawa Shogunate used Edo as the capital city, but Kyoto continued to be the home of the Imperial Court. 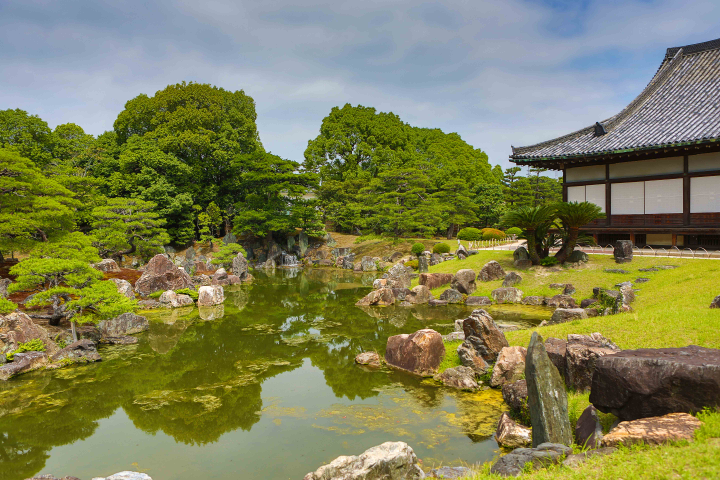 Kyoto Imperial Palace is located north-east of Nijo Castle. There is so much history hidden in these very thick walls. 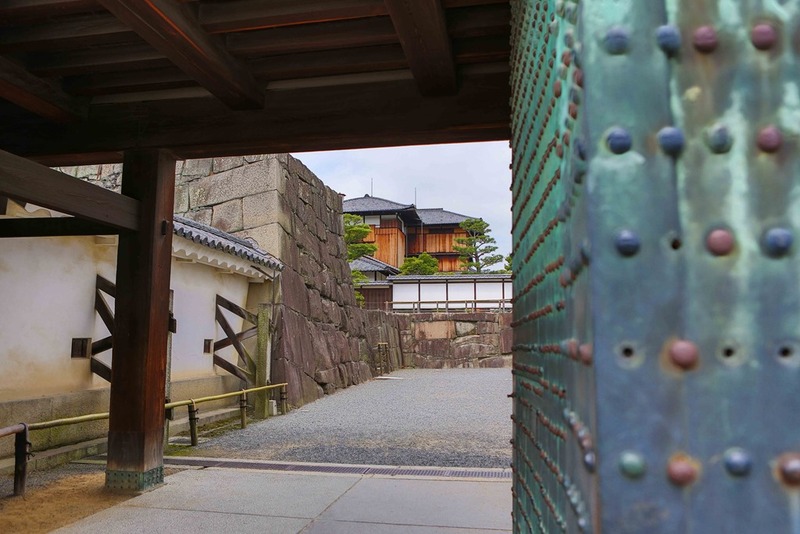 In the main hall where the shogun received guests he would keep 15m between himself and the guests. Beside him was a sliding door filled with samurai ready to jump through in the event of a threat. Although the threats often had a large preamble, where someone would stand up and honourably declare “I (insert name), son of (insert name), grandson of (insert name) from the city of (insert city) will kill you” – giving the samurai lots of time to line up. 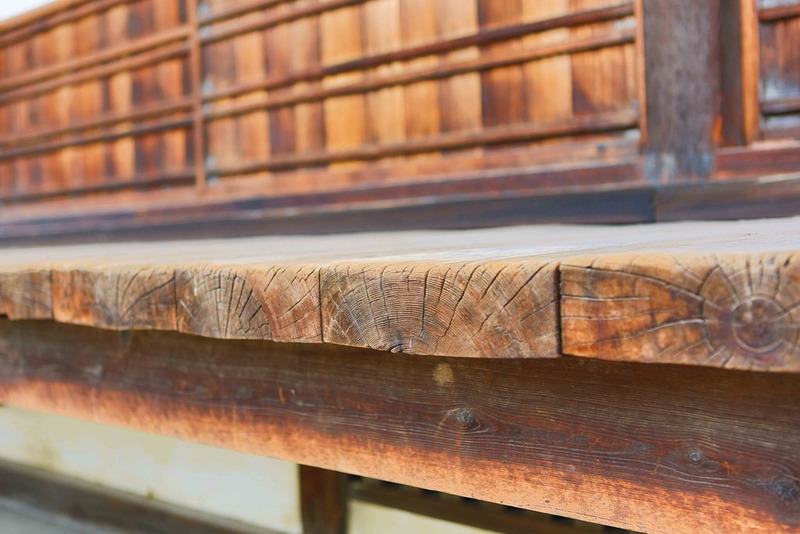 The floor boards are built with a U shaped device to hold the board and a nail through it. This is built to make the floor boards creak when someone walks on it to warn of intruders. I got the sense that being a shogun was not the most “secure” of positions. 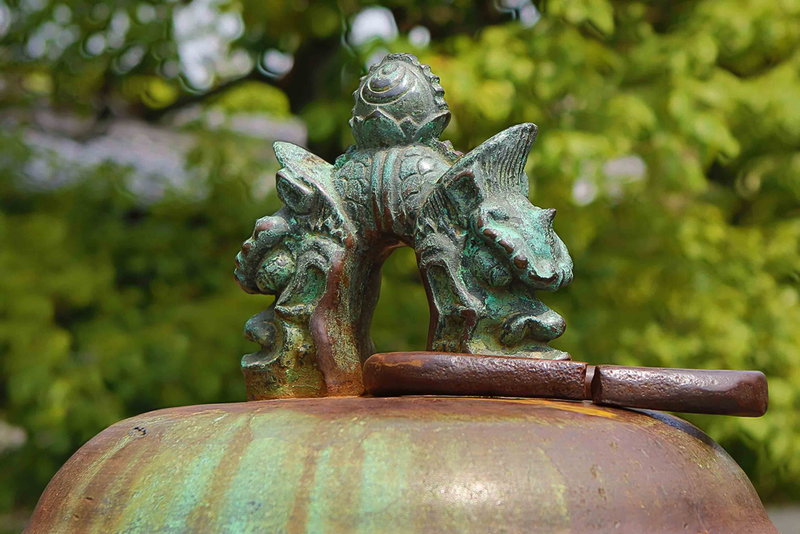 The handle on a large bell in the main courtyard. The gardens beside the main hall. In 1788, the Inner Palace was destroyed by a city-wide fire. 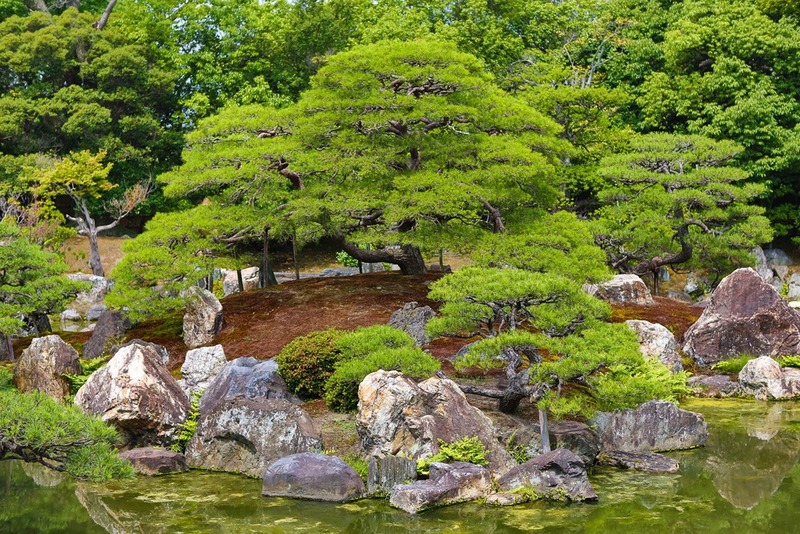 The site remained empty until it was replaced by a prince’s residence transferred from the Kyoto Imperial Palace in 1893. 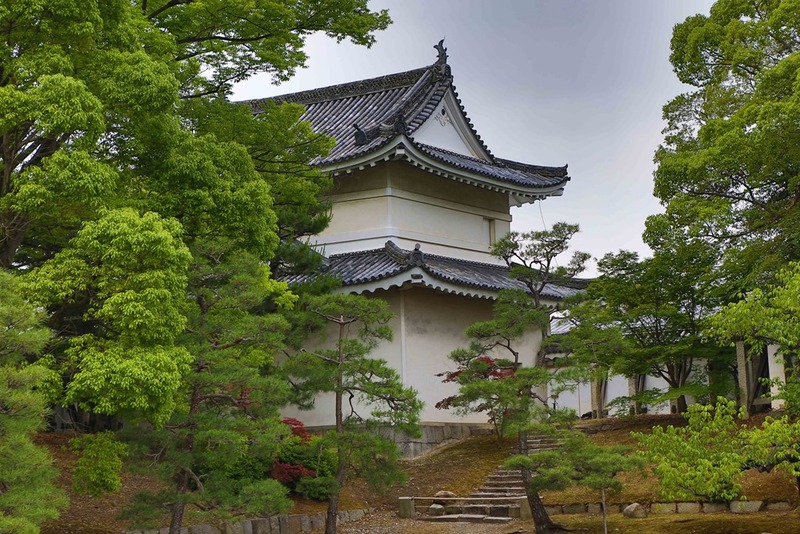 In 1867, the Ninomaru Palace was the stage for the declaration by Tokugawa Yoshinobu, returning the authority to the Imperial Court. Next year the Imperial Cabinet was installed in the castle. The palace became imperial property and was declared a detached palace. 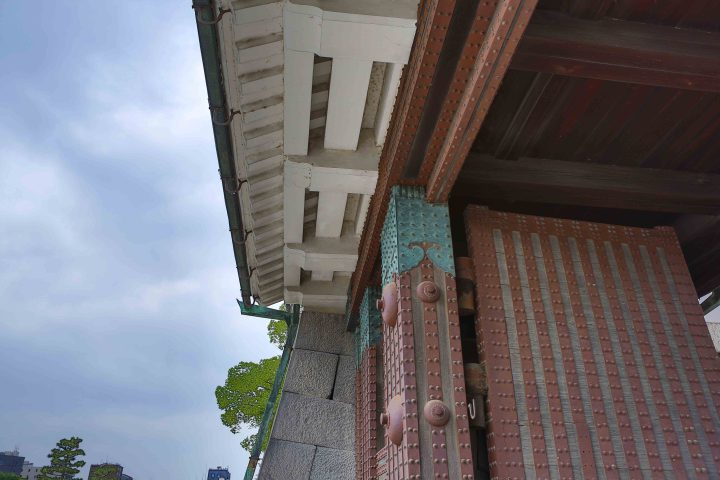 During this time, the Tokugawahollyhock crest was removed wherever possible and replaced with the imperial chrysanthemum. We crossed the bridge, but did not enter. What I found amazing is how the intricate work has survived, even though it is exposed to the elements. 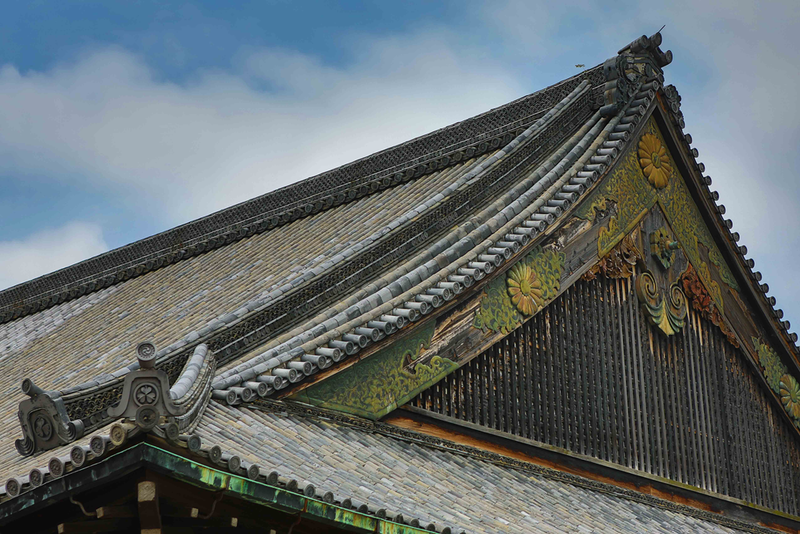 This entry was posted in Our Asia Adventure, Photography, Travel and tagged Canon 5D Mark III, Canon EF 28-70mm f/2.8 L USM, culture, HDR, history, Japan, Kyoto, Nijo Castle, photo, Photography, samurai, shogun, travel by michaelweening. Bookmark the permalink.